CROWSNEST PASS/TORONTO (August 17, 2012) – The National Hockey League Players’ Association (NHLPA) Goals & Dreams fund and NHLPA member Kevin Bieksa held the fifth NHLPA Goals & Dreams Cup on Thursday, as a way to honour Rick Rypien. The event was hosted in Rick’s hometown of Crowsnest Pass, AB at the Coleman Sports Complex. Children from local KidSport Alberta chapters and local schools participated in the fun hockey game to honour Rick and to celebrate the 50 complete sets of brand new hockey equipment the community received as a donation from NHLPA Goals & Dreams in Rick’s memory. The local children were coached in the exhibition hockey game by four NHL players: Kevin Bieksa, Tanner Glass, Darcy Hordichuk, and Kris Versteeg. Following the NHLPA Goals & Dreams Cup hockey game, the NHLPA members in attendance skated alongside local celebrities and some of Rick’s family and friends in a charity hockey game in a capacity-filled Coleman Sports Complex. The enthusiastic crowd was treated to an inspired hockey game that helped raise funds for the Ricky Ryp Foundation. Prior to the game, Bieksa, along with the other NHLPA members, presented to the Rypien family a memorial plaque and photo books from the NHLPA, honouring Rick’s NHL career and recognizing his contributions to the game of hockey. NHLPA Goals & Dreams has partnered with KidSport programs all across Canada. 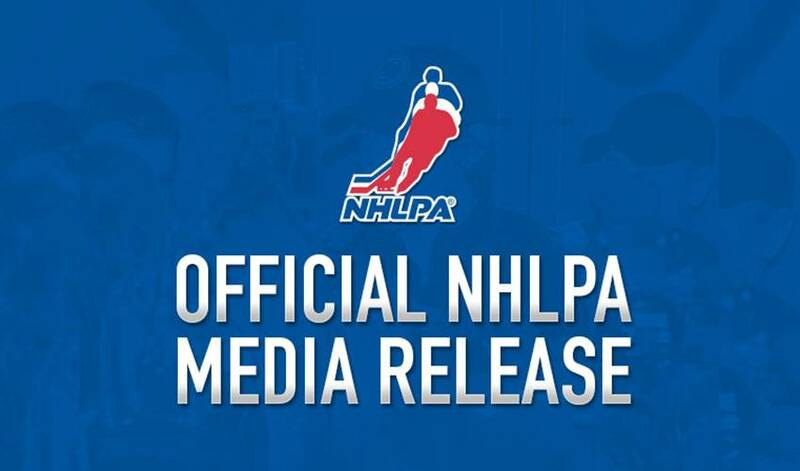 With this recent contribution, NHLPA Goals & Dreams has now donated more than 700 sets of hockey equipment worth close to $400,000, in total, to KidSport programs nationally. The NHLPA Goals & Dreams Cup hockey events are held for selected programs that have previously received NHLPA Goals & Dreams donations. KidSport Alberta works to provide all children the opportunity to experience the positive benefits of organized sports by removing the financial barriers that prevent so many Canadian children from activities like hockey. KidSport places great emphasis on cooperation, friendship, and self-esteem. In 1999, the NHLPA launched the NHLPA Goals & Dreams fund as a way for the players to give something back to the game they love. Over nearly 13 years, more than 60,000 deserving children in 25 countries have benefited from the NHLPA Goals & Dreams donations of full sets of hockey equipment. To date, NHLPA Goals & Dreams has donated more than $21-million to grassroots hockey programs around the world, making it the largest program of its kind. Photos from the Rick Rypien Memorial Game / NHLPA Goals & Dreams Cup are available here.